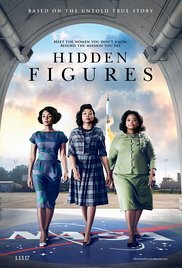 Description: The incredible untold story of Katherine G. Johnson, Dorothy Vaughan and Mary Jackson – brilliant African-American women working at NASA, who served as the brains behind one of the greatest operations in history: the launch of astronaut John Glenn into orbit, a stunning achievement that restored the nation’s confidence, turned around the Space Race, and galvanized the world. The visionary trio crossed all gender and race lines to inspire generations to dream big. Coming Soon: La La Land, Manchester by the Sea.